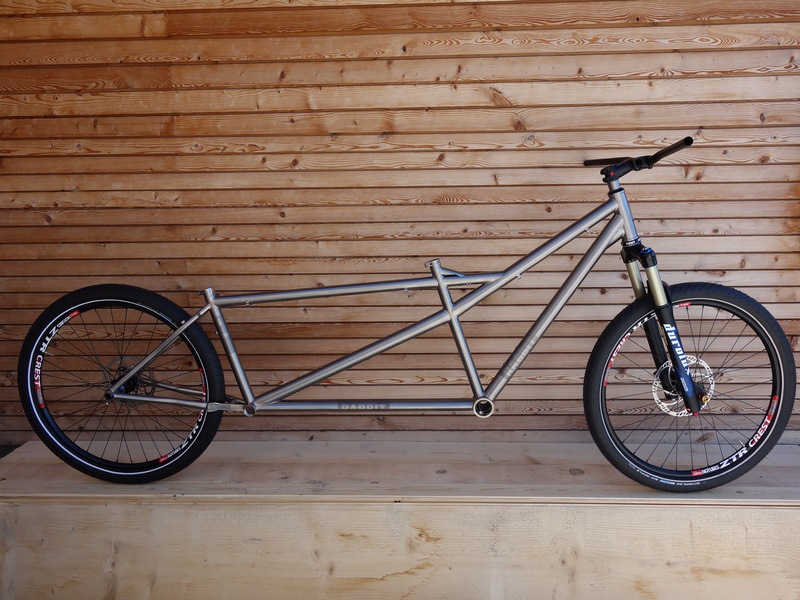 RABBIT Tandem Classic – That’s state of Titanium Tandem Art – The RABBIT Pure Natural Human Power Tandem. “Maximal two person capacity” with a smile. Our 26” RABBIT Classic tandem is designed to fit up to Schwalbe Big Apple 2.35” tires in several stock frame sizes + custom. With various options (see specs). We build your personal tandem on your personal request. Please send us the information about your personal belongings and if available the frame drawing and we can realize your Dream of a Tandem.